Ireland, Croatia, USA and the Cayman Islands were four countries that made the most of the day’s sub ten–knot breezes, each winning a race in their respective divisions of the 229–boat boys fleet. But for all the on–the–water success of the day, there was also plenty of sailors among the 350 competing promising improvements tomorrow. Back ashore at the Royal St. George Yacht Club in Dun Laoghaire harbour the youth sailors gave their first impressions of the Dublin race track. ‘The winds are too shifty and the water is too cold! I’m going to have to learn how to sail all over again in this place’, joked Israeli green fleet sailor Yam Lauber who counted a 21. 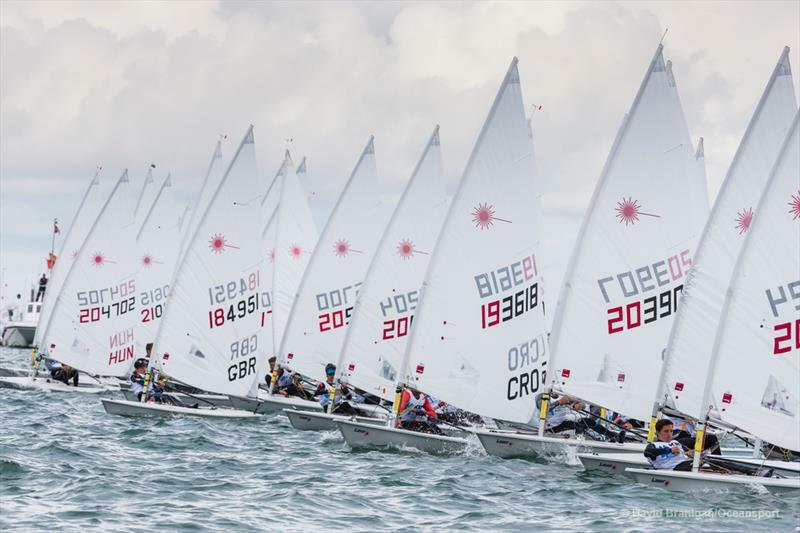 But Spain’s Rafael de la Hoz Tuells, who scored two second places in the boys blue fleet, appears – by today’s result at least – to have mastered Dublin’s notoriously difficult westerlies. ‘I sailed today by concentrating on the clouds and following the wind’, said the number two Spanish sailor from Murcia. Racing continues with two more qualifying races tomorrow. Similar westerly winds are forecast.